Burlington-Paul Hunter Walsh, Jr., 80 went home to be with the Lord on Thursday, March 28, 2019 at his home surrounded by his family. He was born in Watauga County to the late Paul Hunter Walsh and Mattie Laine Walsh. He was the husband of 60 years to Jean Abbott Walsh who survives. Paul retired from Black Cadillac Olds in Greensboro and later worked for Stearns Ford in Burlington. He was a member of St. Marks’ Church and the Men’s Bible Study group led by Richard Franks. 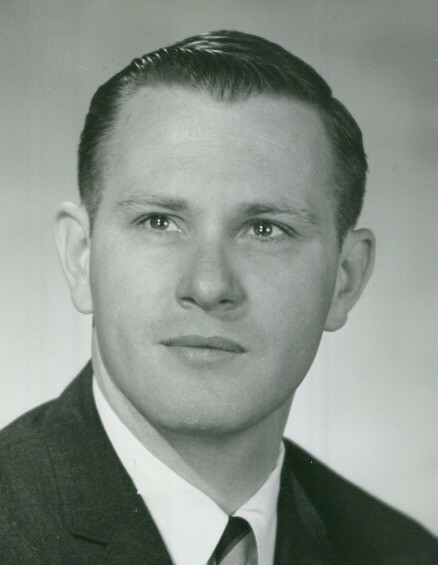 Paul was a 1960 graduate of Appalachian University and was a mountaineer at heart. He was a former member of the Burlington Jaycees. Paul was known by “Toby” by those who knew him best. He was a loving and devoted Christian husband, father, grandfather and great grandfather. Survivors include his wife, Jean Abbott Walsh of the home; son, Paul Hunter Walsh, III and wife, Nikki of Burlington; grandchildren, Mitchell Walsh, Seth Walsh and Anna Wilkinson and husband, Jordan; great grandchildren, Gatlin, Beckham and Maven Wilkinson and a sister, Mary Sue Horton of Santa Barbara, California. The family would like to thank the nurses and staff of Hospice for their kind and compassionate care. A service to celebrate his life will be held on Sunday, March 31, 2019 at 1:00pm at St. Mark’s Church in the original sanctuary by Rev. Ben Bishop. The family will receive friends following the service in the Atrium and other times at the residence.